On Sunday, Tommy Mustache, a leading, self-proclaimed “crypto addict,” took to his well-followed Twitter platform to discuss a pertinent industry happening — the monumental run-up that a Tron-based decentralized application (DApp) underwent. Mustache, citing data from DApp Radar, revealed that the 24-hour volume of TronBet, a gaming/gambling application based on the popular blockchain network, had posted staggering transactional throughput. In fact, Mustache noted that the application had transacted 1.1 billion TRX, valued at $25 million at the time of his tweet’s publishing, in the previous 24 hours. Explaining the importance of this statistic, the blockchain zealot noted that “none of the other DApps from EOS [and Ethereum] are even coming close in terms of transaction volumes (dollars).” Mustache specifically drew attention to EOS Dice, the project’s gambling application of similar caliber to TronBet, noting that the smart contract transacted a relatively mere $8.1 million. On Monday, the statistics were even more impressive for the gaming blockchain-based application, with DApp Radar claiming that 24-hour volumes have risen to 1.5 billion TRX ($38.7 million). The seven-day volume for the application has now risen to a staggering 5.3 billion TRX, valued at $140.1 million — nearly 10% of TRX’s aggregate market capitalization. In comparison, Etherueum-based IDEX, the blockchain’s most utilized decentralized exchange, has posted 1.9k Ether ($241k) in 24-hour volumes. Ethereum’s leading gambling app, FCK, has posted a more respectable 4.6k Ether. Regardless, for now, it seems as though Tron’s innovators are leading the proverbial DApp race. niTROn Nears: The niTROn Summit, a TRX-centric event hosted by Justin Sun & crew, will start on January 17th and run for two days. The blockchain event will expectedly see Kobe Bryant, the de-facto king (prince in the eyes of some) of basketball Justin Sun, and an array of others make keynote presentations. Many optimists believe positive announcements for Tron and the cryptosphere at large will be made at the two-day conference. BitTorrent Exec Bashes BTT, Justin Sun Quips Back: Last week, Tron revealed that it, along with its partner in BitTorrent, would be launching the BTT token, an asset centered around bolstering a “token-based economy around the usage of networking, bandwidth, and storage.” However, in an interview with BreakerMag, Simon Morris, the former CSO at BitTorrent, explaining that the integration of BTT into Tron’s blockchain would “melt” the network. Since then, Justin Sun has quipped back, explaining that the BTT integration will be accomplished by a “hybrid approach,” and that the fears are unwarranted. 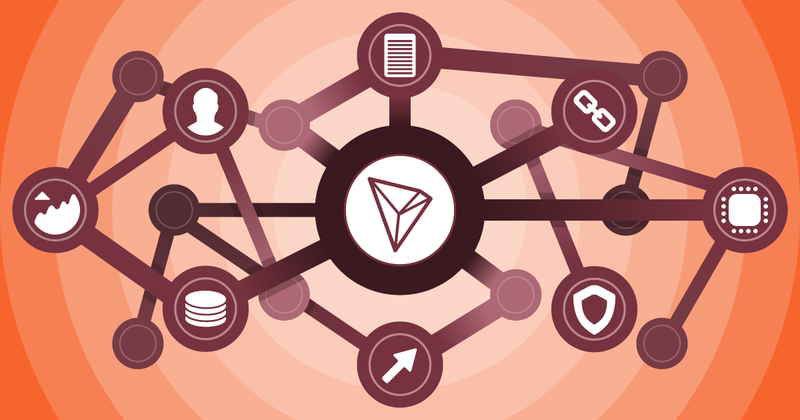 Tron To Surpass 200 DApp Milestone: Just days before this TronBet news, Sun claimed that statistics from DApp Review indicates that his brainchild now supports 133 blockchain-based applications. With this number expected to swell by two or three each day, Sun noted that with the company incubator/accelerator, the blockchain will support 200 active DApps in due time. Per previous reports from Ethereum World News, TRX has led crypto’s single-digit percentage recovery today. The crypto asset, now ninth on this industry’s pseudo-standings, is up 17.61% at the time of writing, finding itself at $0.0259 apiece. It remains to be seen whether this positive price action, deemed a mini, self-contained bull run, will continue in the coming days. But many holders of TRX hope it will, that’s for sure.